On the 20th of May 2014, Plantool Hirecentres opened its brand new depot in Daventry. There was a great turnout, with equipment being displayed, the mayor of Daventry opening and presiding over the event and copious amounts of food and drink on offer, the day was a great success. 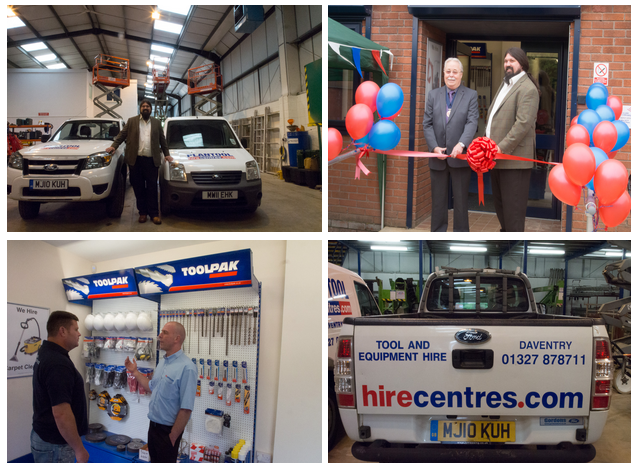 The opening of the new Daventry depot embodies Plantool Hirecentres constant growth and expansion in the hire centre industry. The brand new equipment for hire was looking spruce and ready to go. All kinds of different brands were on display, from Niftylift to Hilti. We make sure that we only order in the best equipment from the best brands, so that when hiring from Plantool Hirecentres you will be assured that you have the best, safest and most effective hire equipment available. If you would like to view the new range of products we have on offer for hire, click here and start hiring today.